Discover the magic of Christmas at Select CITYWALK! The Christmas Market is the most awaited events during the festive season! From making gifts and Christmas delicacies from scratch to shopping and fun activities for your children- this market has got everything! 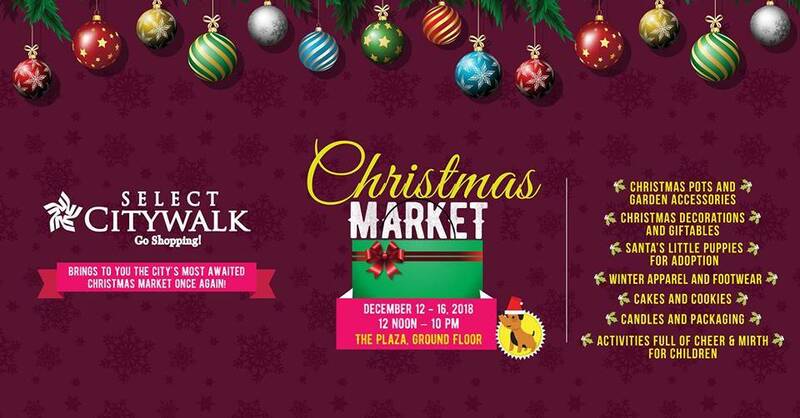 Join Select CITYWALK for a merry time with family and friends from December 12-16, 2018, 12 pm -10 pm.